Text me. Tweet Me. Call Me. Touted as “mini tablets” by many, smartphones are the glue that holds many of our lives together. Why not watch your favorite movie on a broadband streaming service? Or, maybe try sending out that email that has the looming 4:00 deadline. Either way, there’s definitely a smartphone that can meet your needs and keep you connected. Smartphones include all the traditional features of cell phones, such as caller ID and text messaging, as well as more advanced features, such as dual cameras for video conferencing, access to the Internet and email, and thousands of applications. Personal and professional calendars have never been easier to manage with integration, mobile document editing and synchronization with your computer. Follow the links below for help accessing the mobile Internet or Wi-fi with your smartphone, learn how to setup your email account and install apps. Smartphones are mulit-purpose devices and they generally have ports that allow users to charge the battery, transfer files from the smartphone to a computer, or tether the phone to a laptop and share the mobile Internet connection. Before purchasing a smartphone, take a moment to determine how you will use the device and which features and functions are most important to you. Not all smartphones have the same features, so be sure to read the product literature carefully and make sure the one you choose has all the functionality your require. There are a number of manufacturers that produce smartphones and some, such as HTC handsets, are available with a Mobile version of the Microsoft Windows operating system. Other manufacturers, such as Palm, Blackberry and Apple, use proprietary operating systems. You can view sample screens from these operating systems, as well as hardware and device specifications, on each vendor’s web site. 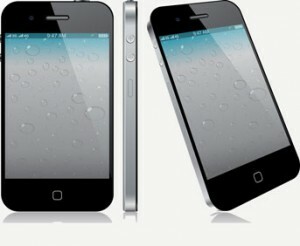 Apple: The iPhone combines phone and PDA features with the music and video capabilities of an iPod. The iPhone can also access and download hundreds of applications. Blackberry: Shop and compare Blackberry devices and learn more about using several of the company’s smartphone models. HTC: This handset maker offers touchscreen smartphones, as well as models with full slide-out keyboards. LG: LG smartphones can be found across several cellular carriers and are known for their reliability. The most recent offering, LG Optimus, is rumored to be LG’s foray into the 3D smartphone arena. Motorola: Shop for phones and smartphones for personal or business use using the Windows Mobile or Android operating systems. Samsung: Samsung continues to expand in the smarphone market and remain a top maker of the latest mobile devices. Nokia: As the leading smartphone vendor worldwide, Nokia offers a wide-range of handsets and smartphones running the timeless Symbian OS with Meego coming soon. Microsoft Windows Phone: Microsoft invites smartphone users to meet Windows phone and explore a list of devices that run on the operating system.